A ceremony to mark the life and death of British First World War heroine Edith Cavell will take place in Belgium on 12 October. 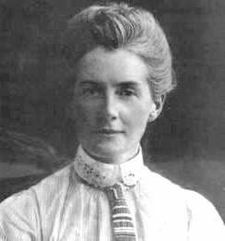 Cavell, a British nurse, was executed by the Germans for her part in arranging the escape of wounded French and British soldiers during the First World War. To mark the centenary of Cavell’s death, Her Royal Highness the Princess Royal and Her Royal Highness Princess Astrid of Belgium will attend a ceremony at the Belgian Senate, the location of Cavell’s trial and sentencing. Princess Astrid will then unveil a contemporary bust of the nurse, designed by Belgian sculptress Natalie Lambert, in Park Montjoie, close to the Edith Cavell hospital in Uccle, south of Brussels. During the early stages of the First World War, Cavell helped to arrange the safe passage of soldiers from northern France via her hospital in Brussels to the Netherlands. Her arrest and eventual execution by the Germans came as a shock to the British public. The first Geneva Convention 1864 guaranteed protection to medical personnel in wartime, but the Germans made an exception in Cavell’s case. Stamps, postcards and posters of the nurse were used in propaganda and her status as a British heroine helped pave the way to a more cautious approach to female prisoners by German forces in France and Belgium. This entry was posted in Events and tagged 1915, Centenary of the First World War, Edith Cavell, First World War, news, Princess Astrid of Belgium, Princess Royal, UK News, WW1. Bookmark the permalink.